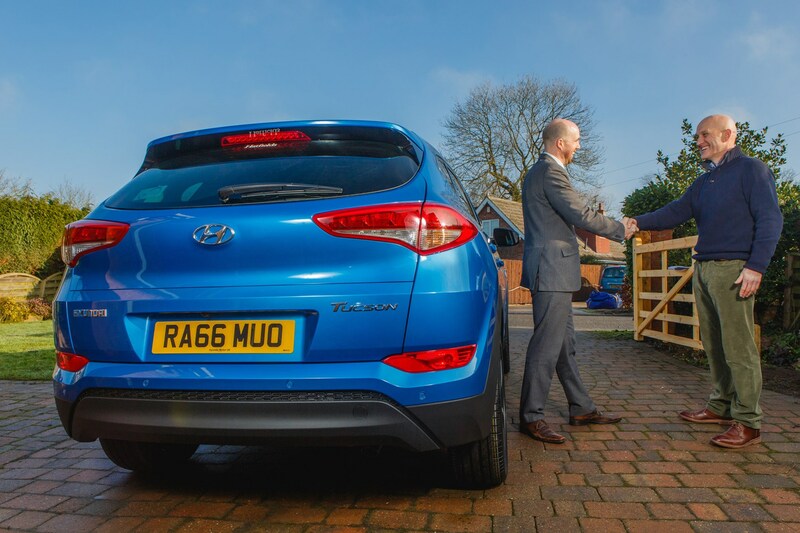 Hyundai’s pioneering Click to Buy car purchasing scheme is undergoing a major overhaul from April 2018. Unlike when the service first launched in 2016, customers will soon be able to choose from the full range of Hyundai vehicles (instead of only a handful of models), while individual dealerships will be given the freedom to set their own pricing structures. It should make the car buying process easier and quicker for customers who don’t have the time to head down to their local dealership and haggle for the best price. All models can now be bought, financed (with PCP finance, PCH leasing and Hire Purchase available) and booked for delivery from behind a computer or mobile screen, without any interaction with a salesperson. Of course, there will always be someone on the other end of the phone should customers need assistance. What’s more, the freedom for dealers to set their own online price tags means that Click to Buy customers no longer have to settle for prices that are the same across the board, regardless of location. 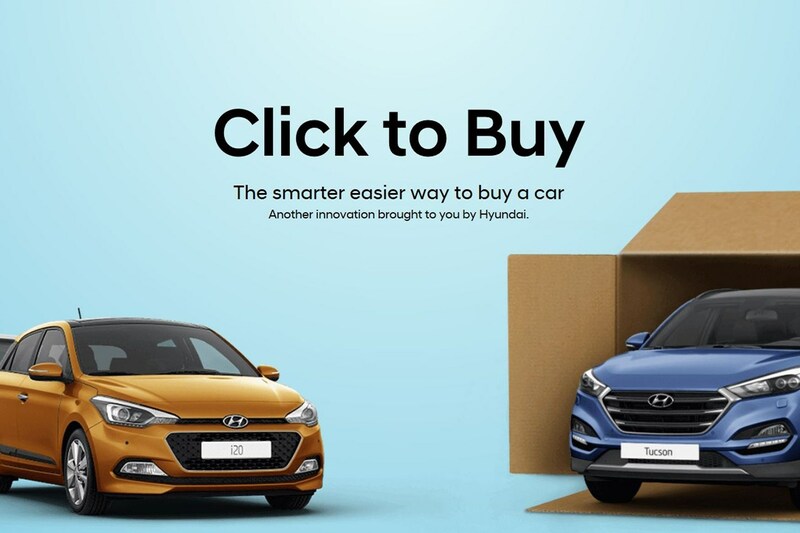 While Hyundai stresses that the intention is not to create a price war between dealers (there’s no option on the website to list cars in order of price), there’s nothing to stop buyers comparing deals on the same car using multiple web browser tabs. Is this end of the traditional car dealership? Not at all. 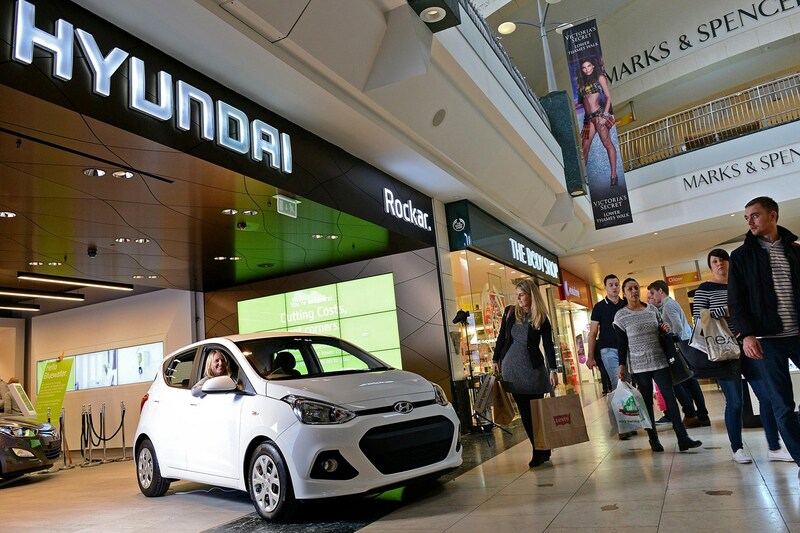 Hyundai admits that while the Click to Buy service and Rockar Hyundai stores (soon to be taken over by Motorline) in UK shopping centres are successful ventures they are keen to expand (92% of Rockar Hyundai customers had never bought a Hyundai before), the traditional dealership will, for the foreseeable future, be responsible for the vast majority of car sales. Indeed, plans for a flagship Hyundai dealer located on the A4 heading in and out of London are in their final stages, with construction expected to start in 2018. >>Car finance explained: how does PCP work?